In 2013, households in the lowest income bracket had a median savings balance of just $13,000, while those in the top income bracket had median savings of $452,000. When it comes to retirement savings, the gap between the rich and poor is growing dramatically. 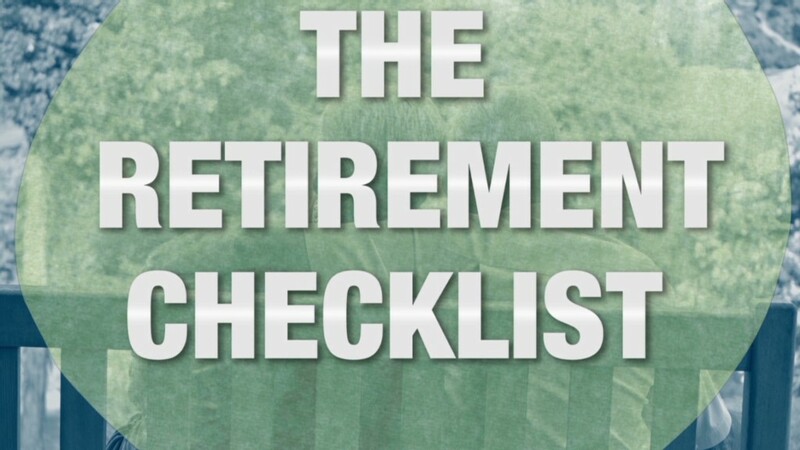 Last year, the typical 55- to 64-year-old household had just $111,000 saved in their 401(k)s and IRAs, which would translate into just $500 a month in retirement income, according to a report from Boston College's Center for Retirement Research that analyzed recent Federal Reserve data. 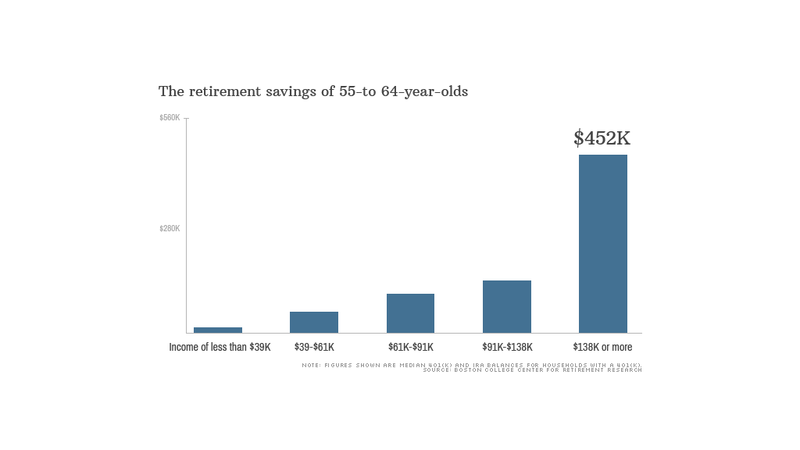 But when you break down the savings by income brackets, the numbers look even bleaker. Households in the lowest income bracket -- those earning less than $39,000 a year -- had a median savings balance of just $13,000. Meanwhile, those in the top income bracket -- those earning $138,000 or more a year -- had a median of $452,000 saved. And that's a gap that has widened significantly over the past decade. America's wealthiest saw the value of their median retirement savings grow by 24% between 2004 and 2013, while low-income households couldn't even keep up with inflation as they watched their savings shrink by nearly 20%, according to the Federal Reserve's inflation-adjusted data. Even more alarming: a growing number of low and middle-income households have no retirement savings at all. Only 9% of the country's lowest income households and roughly half of middle-class families have a retirement savings account, compared to more than 90% of the country's wealthiest households, the Federal Reserve found. Alicia Munnell, who wrote the Boston College report, said the "depressing" savings levels and rates could be a reflection of stagnant wages and lingering effects of the recession. According to Munnell, there are ways to help workers save more for retirement, including requiring employers to auto-enroll workers into a retirement plan and increasing the rate at which employers enroll their workers. Other factors that she says must be addressed include high fees and when savers cash-out of their 401(k)s.
"(Something's) going to have to change," she said. "The question is, 'How long is it going to take?'"